This is the perfect course for any graduating senior or anyone seeking those life lessons we did not learn in High School. Course fee for this outstanding, life-skills course is only $250! The typical fee for a comparable course in Sacramento or Stockton is over $585, making our course an exceptional value, while also saving you the travel expense! You will receive 12 hours of in-depth interactive discussion and presentations from qualified professionals and guest speakers in each area of study. 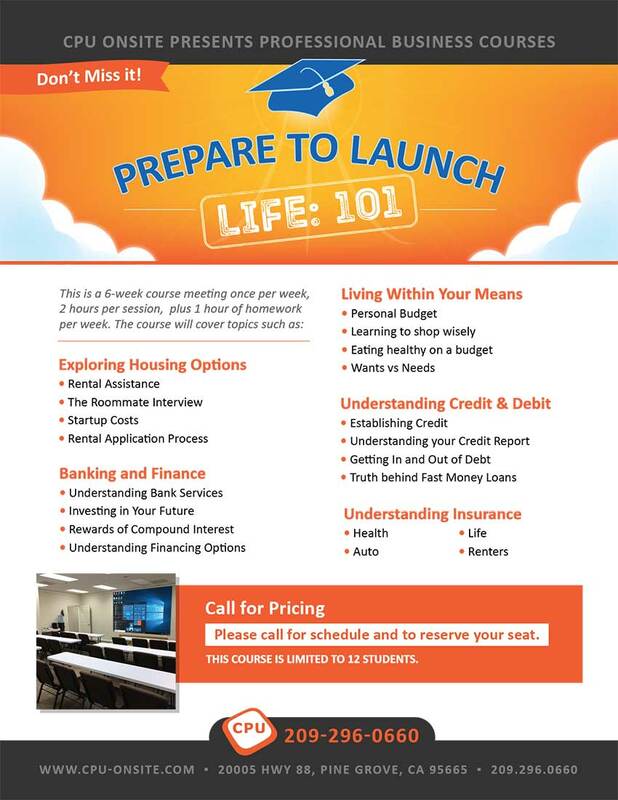 This class covers the most important topics for a successful launch into independence.